While many tech companies are busy trying to make their electronics as small as possible, Fuhu isn't afraid to think big. 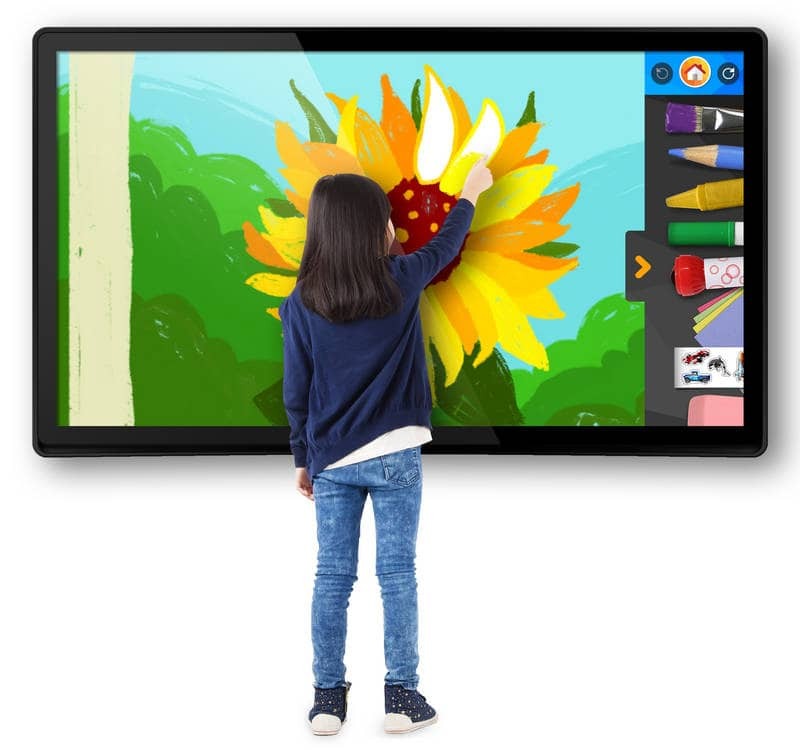 This kids tablet maker had previously launched a 24" tablet, and today they have announced four even larger models with screen sizes ranging from 32" to 65". The Nabi Big Tab XL will be available later this year in a 32" or 43" screen with a resolution of 1920 x 1080, or 55 " or 65" with a resolution of 4K Ultra HD display. Looking at the resolutions and sizes, I suspect that Fuhu found an OEM with Android-based smart TVs and licensed the hardware designs. Then again, maybe not. While the smaller models will run Blue Morpho OS (Fuhu's version of Android KitKat) on last year's tegra K1 CPU with 2GB RAM, the two larger models will have the brand new Tegra X1 chip and 4GB RAM. The tablets will come with Wifi, Bluetooth, and NFC connectivity as well as HDMI port and a forklift. 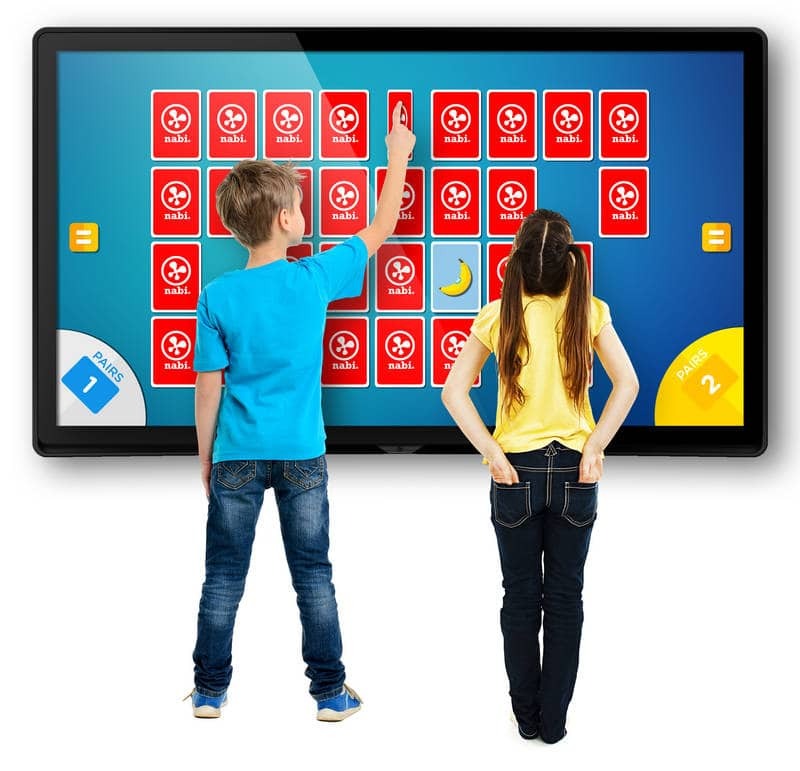 The capacitive touchscreens will be equipped for either 20 points or 40 points of contact, enabling multiple kids to use each tablet at a time. Blue Morpho OS includes a number of child-friendly features as well as games and parental controls, and it also includes access to Google Play. There's no word on prices or the release date, but I would expect the tablets to ship later this year and cost enough that you would need to trade in one of your kids in order to afford the tablet. Which reminds me of a bad joke from the Cold War era : The Soviets proudly announced the development of the world’s largest microchip. Seriously though, this big screen might have some applications in classrooms. I wonder how much testing has already been done in classrooms or with students.